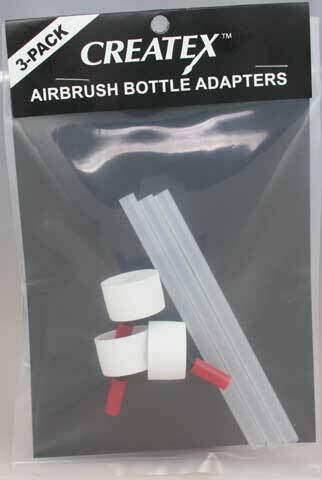 Change colors in a matter of seconds with these airbrush bottle adapters that fit right onto both 2 and 4 oz. bottles of color. The messy clean up that comes with the use and switching of standard airbrush color bottles is eliminated. The Plastic Redy Cap prevents colors from drying when stored. There are three adapters in each pack.